Clive Palmer has spent a lot of time in our lounge rooms lately, with ad campaigns flooding tv stations. Now the 'Make Australia Great' campaigner has warned that those appearances won't be stopping any time soon and promises there's a lot of money to spend on advertising. 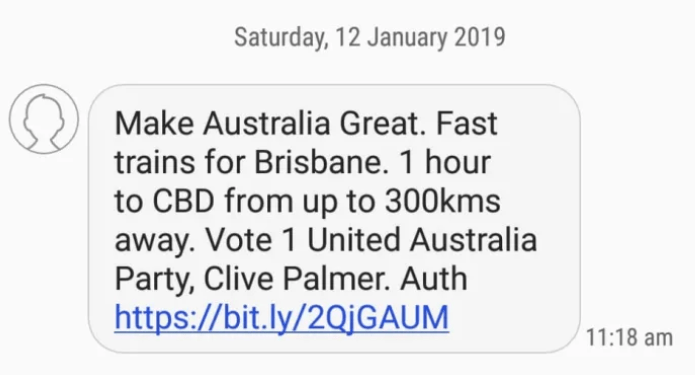 Mr Palmer has proudly stated that there's no money limits on his advertising, which now includes unsolicited text messages too! Clive's latest campaign creation has him in legal hot water once again, this time resulting in the management team behind Boy George seeing red. Take a look below and you'll understand straight away why BG's team isn't impressed. The 'light hearted' mobile game was launched this week after 'several months' of planning and has made waves globally in less than 24 hours. The parody version of Culture Club's track 'Karma Chameleon' has been used as the backing track for the game, but if it's not dropped soon, Boy George's manager will take legal action. BG's team say that his art will never be used in a political sense. Just a couple of weeks ago Twisted Sister were first to fall victim to Clive's pop-song-pinches. The North Ward resident featured 'We're Not Gonna Take It' in his advertising which has kicked off tensions between himself and the band. What will Clive give us next? Watch this space!